Let us raise a Toast. A Toast to great people, a Toast to great food, a Toast to great music! 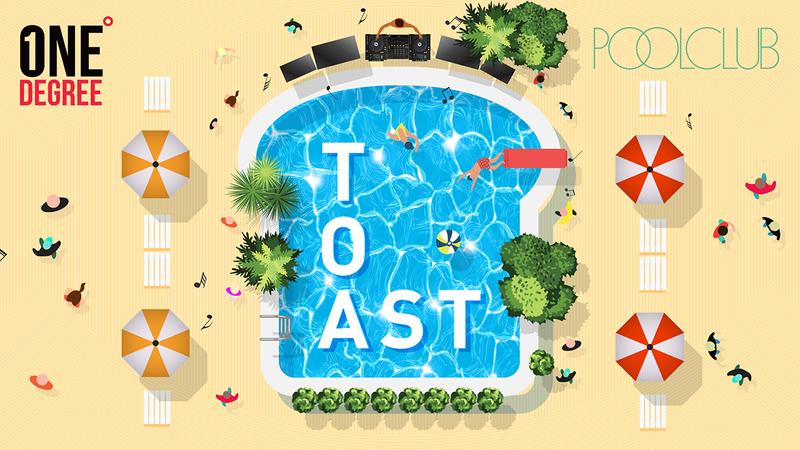 The summer is officially here and after the huge success of our launch party, Toast is the hottest place to be this season! We will be serving the highest quality 5-star brunch all day, with live music along with some fantastic local talent on the decks, all whilst sunbathing in the summer sun in Sydney’s only pool bar. - And of course, above all else - the unique 1°Degree crowd. If you would like to book a cabana (15 people minimum) gather your friends and get in touch with us. This booking will include a free bottle of bubbly on us! Toast is a strictly limited capacity. Don’t be the person who misses out on this - we cannot wait to party with you all! Together we have created something different, something special - an intimate group separated by just 1°Degree.